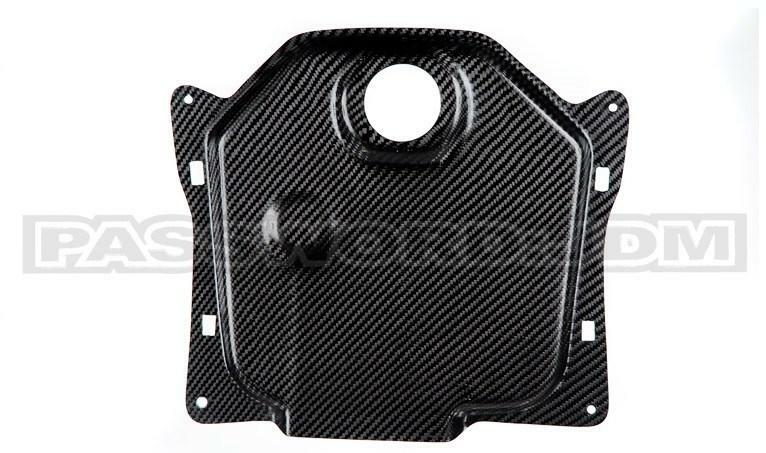 Password JDM Zoomer/Ruckus Carbon Fiber Gas Tank Cover HONDA - Dezod Motorsports Inc - Home of the automotive performance enthusiast since 2002. Password:JDM dry carbon fiber gas tank cover! Lets face it your original plastic cover is not cutting it. Upgrade to dry carbon that will set you aside from the rest. If you want a lower floorboard and you don’t want to see all those wires and fluid lines that you see with other gas tank covers, then you have to cover the clutter with this extended gas tank cover. Since its made of dry carbon or a dry carbon/kevlar material, this piece is lighter than Kate Moss but with more curves. This badass will even fit under the NCY racing frame brace. So pick your choice of optional colored mounting hardware and show your flow at the next big Ruckus ride. Please note that this extended gas tank cover is to be used in conjunction with an extended frame kit. If your Ruck does not have that yet then please purchase the regular gas tank cover.